Kate was snapped wearing this lightweight shawl when the Cambridge's left Kensington Palace with their newborn daughter Princess Charlotte to settle into their country home, Anmer Hall in Norfolk. 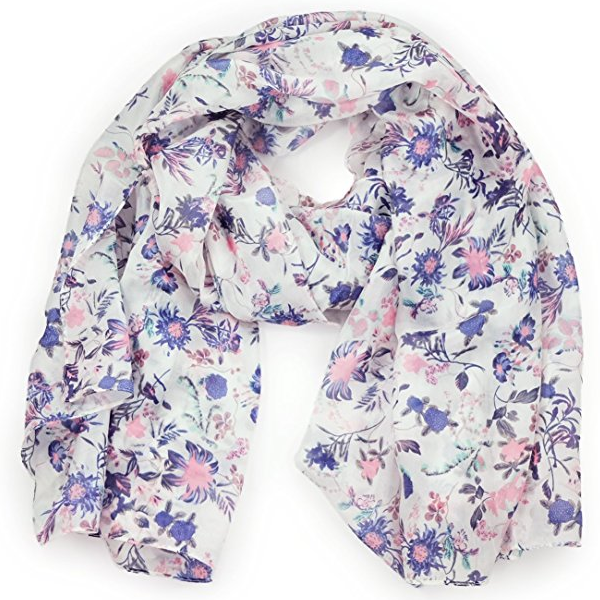 Beulah's modal and cashmere- blend scarf is printed with a playful lip print in a mix of white and blue with a hint of pink. The 'Brisa' measures 135cm x 200cm. 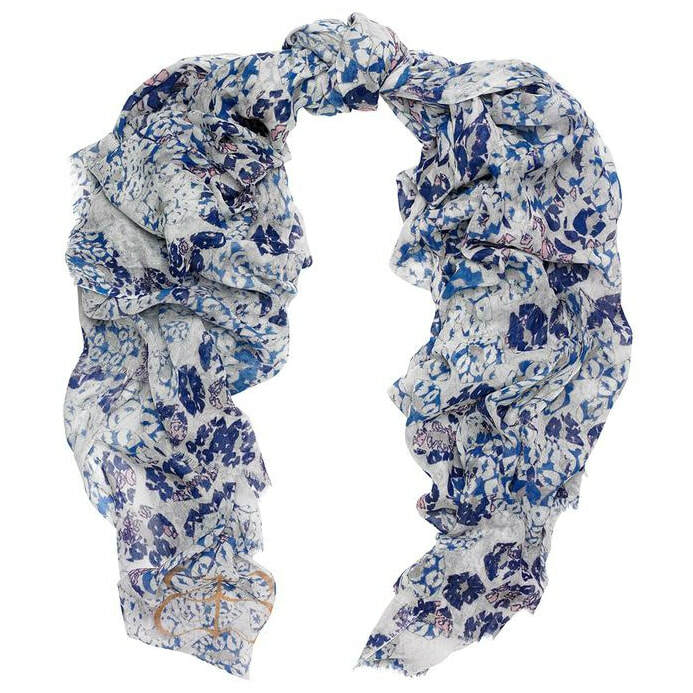 STYLE FILE: Beulah London Brisa Scarf as seen on Kate Middleton, The Duchess of Cambridge.